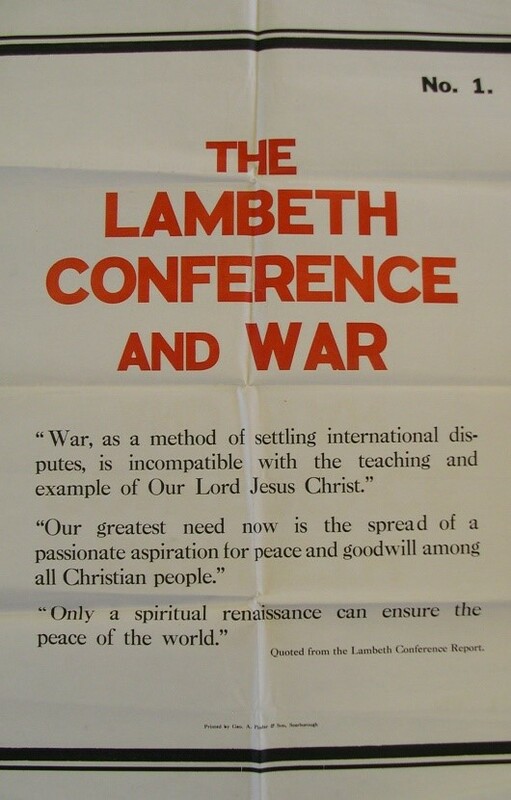 “War, as a method of settling international disputes, is incompatible with the teaching and example of Our Lord Jesus Christ”. And yet, throughout the century that has followed, the argument of ‘Realism’ has been used to justify war. In doing so the teachings of Christ have had to be side-lined, diluted or even ignored. Apparently, it’s claimed, there are times when war is the lesser of two evils, when not-war would be worse. Like, for example, when General Synod (2015) accepted the bombing of Syria in order to help refugees. What could possibly be wrong with that, a war-apologist might ask? The multiple destruction of the human beings for whom Christ died – including thousands of people (even in the “cleanest” of wars) who are in the wrong place at the wrong time. And even if you think that the examples and teachings of Christ are just too unrealistic to relate to the situations that lead to war, then realise that the wisdom of Jesus can also be expressed in non-religious thought. This is because, whether any action is right or wrong depends on the consequences. Where the immediate pragmatism might suggest one thing (e.g. safe refugees) the long term (eternal?) consequences are rather different. Tolerance of war as the means to solve future conflicts. How many more millions will die as such attitudes seep into global culture? Middle East history shows you can’t knock over one domino in isolation; rather a whole domino rally will follow. You can’t have a little bit of bombing in isolation, without the attraction of violence and the weapons of war being boosted for the next time and the times after that. It means you can’t make war to get peace; all you end up learning is more war. The method you choose for transforming conflict is the end result you achieve. So it’s war or Jesus; and it’s a real choice because war was and remains “incompatible with the teaching and example of our Lord Jesus Christ”. Clive Barrett is a former Chair of the Anglican Pacifist Fellowship. He is currently Chair of the Peace Museum, Bradford and is the author of Subversive Peacemakers: War-Resistance 1914-1918, an Anglican Perspective (Lutterworth, Cambridge, 2014).